WASHINGTON -- It's not clear what influence Fritz Henderson's resignation as General Motors Co. CEO will have on slow-moving dealer settlement talks with GM and Chrysler Group, a leader of a rejected-dealers group said Tuesday. GM Chairman Ed Whitacre said he would run the automaker while a search for a new president and CEO begins immediately. 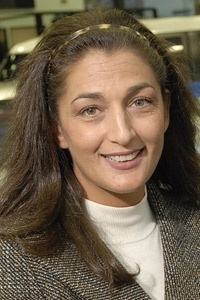 The committee, which is one of four dealer groups participating in the talks, is redoubling efforts to try to push legislation that would reverse closures of 2,100 GM and Chrysler Group dealerships, she said in an interview. The legislation passed the House last summer but has stalled in the Senate. The talks began in September at the request of congressional leadership seeking an alternative to the bills, which are opposed by the Obama administration. The dealer groups proposed cash compensation to rejected dealers as well as the establishment of third-party arbitration to consider rejected dealers' appeals. “The talks have been moving very slowly,” Darvish said. The last meeting with GM took place the week before last, she said. GM spokesman Greg Martin declined comment. National Automobile Dealers Association spokesman David Hyatt did not immediately respond to a request for comment.